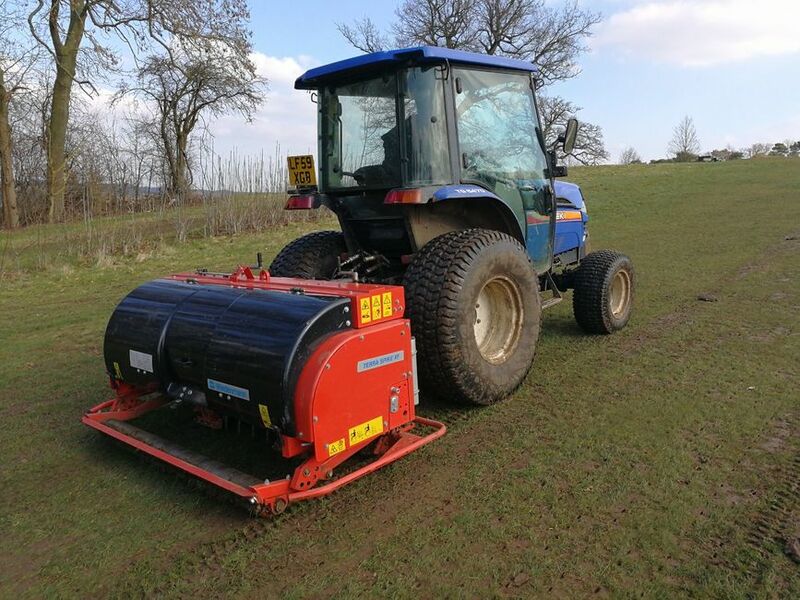 A Hertfordshire golf club having had 14 years of success with an existing Wiedenmann Terra Spike XF has replaced it with a newer version. Changes to the XF in the interim include hydraulic depth control giving infinite depth adjustment from the cab as well as a two piece heave bar system bringing additional shock absorbers. With vistas across the Lea Valley, Aldwickbury Park’s two busy courses – the 18 hole ‘Manor’ and the par 3 ‘Park’ – both open 365 days a year. Craig Betts and his team don’t leave aeration to chance. Slots to deep tine all tees, greens and approaches are timetabled to cause least disruption. Aldwickbury Park shares its Terra Spike XF with fellow Burhill Golf & Leisure Group club, Redbourn GC, also Harpenden.